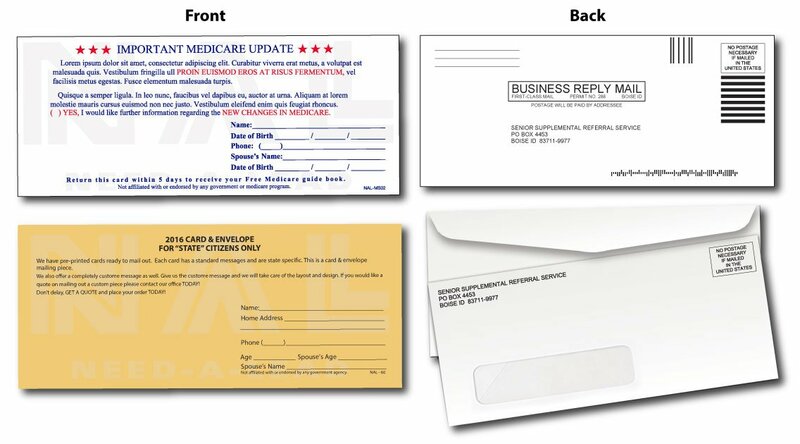 The card & envelope mailers have been the standard and still generate the highest consistent response rates for all senior market products. Whether you order our pre-printed mailers or customize a card this is an extremely reliable mail piece. Contact us today for your FREE sample!